From Delhi, India, we bring forth the best quality Nitrile Surgical Gloves that are powder-free and made up of 100% polymer. In addition, they contain no proteins and are skin friendly. Buyers are free to place orders for our soft, comfortable and flexible Surgical Gloves. Timely deliveries of the same are our main concern! Disposable, ready for use, Box packing of 50/ 100 pairs. 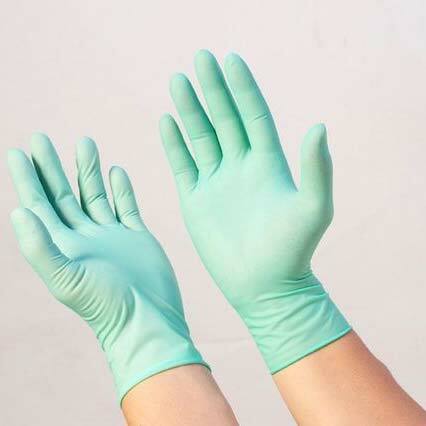 Nitrile Surgical Gloves are available in STERILE AND UNSTERILE Form.